Frontier: Has the Netflix TV Series Been Cancelled or Renewed for Season Four? Will Declan Harp or Lord Benton finally be victorious in destroying the other? Is the Frontier TV show cancelled or renewed for a fourth season on Netflix? The television vulture is watching all the latest TV cancellation and renewal news, so this page is the place to track the status of Frontier, season four. Bookmark it, or subscribe for the latest updates. Remember, the television vulture is watching your shows. Are you? 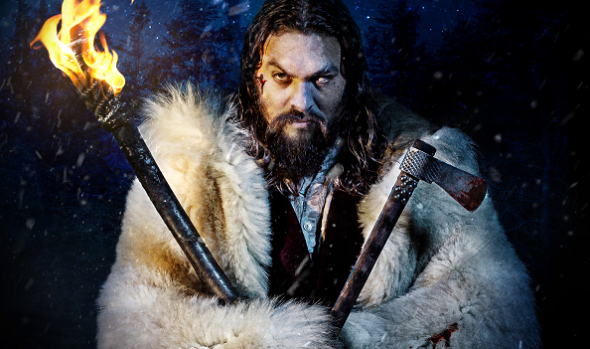 Streaming on the Netflix paid subscription platform, Frontier stars Jason Momoa, Alun Armstrong, Landon Liboiron, Zoe Boyle, Jessica Matten, Evan Jonigkeit, Allan Hawco, Lyla Porter-Follows, Greg Bryk, Diana Bentley, and Breanne Hill. A Canadian action-adventure drama from creators Rob Blackie and Peter Blackie, the 18th century period piece unfolds in the violent, corrupt world of the North American fur trade. A part-Cree, part-Irish outlaw, Declan Harp (Momoa) is determined to break the monopoly that the Hudson’s Bay Company has on the industry. He has a dark past with HBC’s Lord Benton (Armstrong), who is out to crush the competition. In season three, Declan takes his fight against the HBC across the Atlantic. As of April 24, 2019, Frontier has not been cancelled or renewed for a fourth season. Stay tuned for further updates. There’s been no word yet on whether Netflix and Discovery Canada (where the show originates) will renew the Frontier series for a fourth season. My guess is that, as long as movie star Momoa is willing to do it, the series will be renewed. I’ll keep an eye on the trades for any breaking news, so subscribe for free Frontier alerts. Find more Frontier TV series news or other Netflix TV show news. What do you think? Are you hoping that Netflix and Discovery Canada will renew the Frontier TV series for season four? How would you feel if the show is cancelled instead? More about: Discovery Canada TV shows: canceled or renewed?, Frontier, Frontier: canceled or renewed?, Frontier: ratings, Netflix TV shows: canceled or renewed? Marvel’s Daredevil: Is the Netflix TV Series Cancelled or Renewed for Season Four? Frontier: Is the Netflix TV Series Cancelled or Renewed for Season Three? Alias Grace: Is the Netflix TV Series Cancelled or Renewed for Season Two? Of course they’re going to cancel Frontier! It’s a good show! Grrrr! Pleaseeeeee Netflix people! Keep Frontier! Bring Frontier back. It is awesome series. We want Frontier to continue on for a fourth season. This is a fantastic series! Keep Frontier going. We need a Season 4 to come out soon.